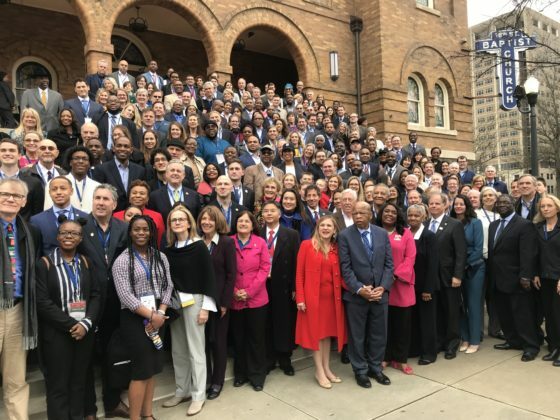 Many of Alabama’s political leaders, locally and nationally, gathered Friday in Birmingham for the 26th annual Congressional Civil Rights Pilgrimage. 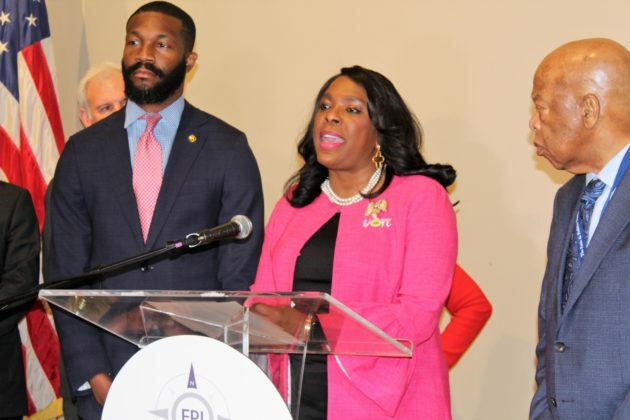 Sen. Doug Jones (D-AL), Rep. Terri Sewell (D-AL), civil rights icon Rep. John Lewis, (D-GA), who is from Alabama, and Birmingham Mayor Randall Woodfin were joined by dozens of members of Congress making a weekend-long civil rights pilgrimage through Alabama, visiting spots that were instrumental in the fight for racial equality under the law decades ago. The mostly Democratic group made its first stop Friday at Birmingham’s Sixteenth Street Baptist Church, where four black girls died in a Ku Klux Klan bombing in 1963. “We have to recognize the importance and significance of where Alabama was during the civil rights movement . . . and how hearts and minds were changed…because of what happened here in Birmingham,” said Jones. At Sixteenth Street Baptist Church, delegation members applauded a handful of civil rights veterans as they stood in the sanctuary and then watched a play depicting the lives of the bombing victims. He said the pilgrimage, which includes stops in Montgomery and Selma, is all about learning from mistakes made in the past so they are not repeated. Jones said the pilgrimage really began in 1965 in Selma, Ala. with Lewis who was among the civil rights marchers beaten on Bloody Sunday on the Edmund Pettus bridge in Selma “And the Voting Rights Act was passed in 1965 as a result of what happened in Selma …and today I think that voting acts are under attack and I think that we need to remember as we go forward…we need to remember the sacrifices,” Jones said. Sewell said “it’s not lost on her that she gets to walk the halls of Congress . . . because of the courage, the audacity, the sacrifice of John Lewis,” she said. 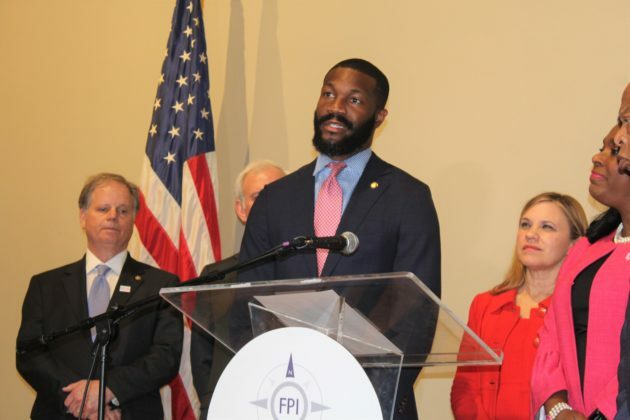 “He may be a congressman from Georgia but he will always be a native son of Alabama,” she said. The pilgrimage is a history lesson for all of America, Sewell said. No one owns the history, but “we all are part of that history and we can each play a part to pay it forward,” she said. House Majority Leader Steny Hoyer (D-MD), making his 15th trip with the group, used the stop in Birmingham to say Democrats would bring to the floor a bill to guarantee voting rights and make other changes long favored by Democrats. “Voting is at the heart of our Democracy,” said Hoyer. 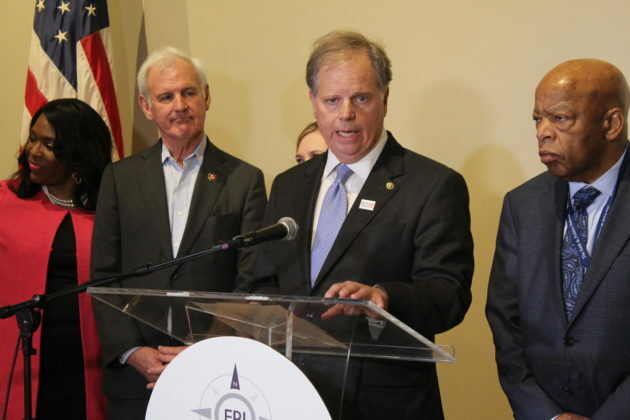 GOP Rep. Bradley Byrne, (D-AL) who is challenging Jones next year, called voting rights a bipartisan issue and said a larger share of Republicans than Democrats supported key civil rights legislation in the 1960s. 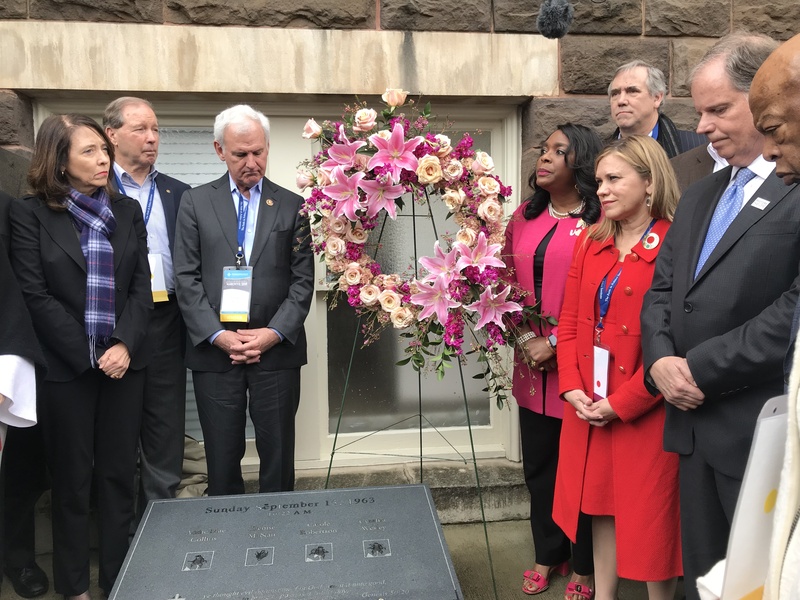 Lawmakers walked somberly through the memorial, which features coffin-sized brown monuments inscribed with the names of lynching victims. 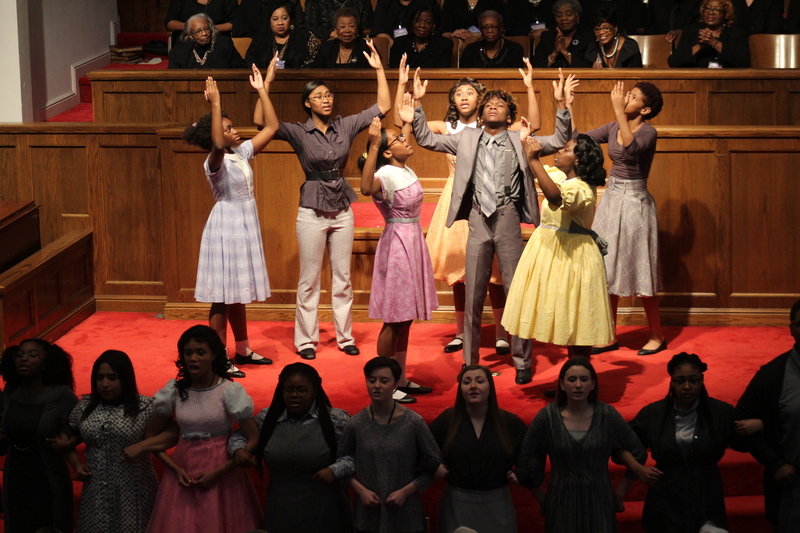 The group plans on participating in weekend civil rights commemorations in Selma. The annual civil rights trip is sponsored by the Faith and Politics Institute.